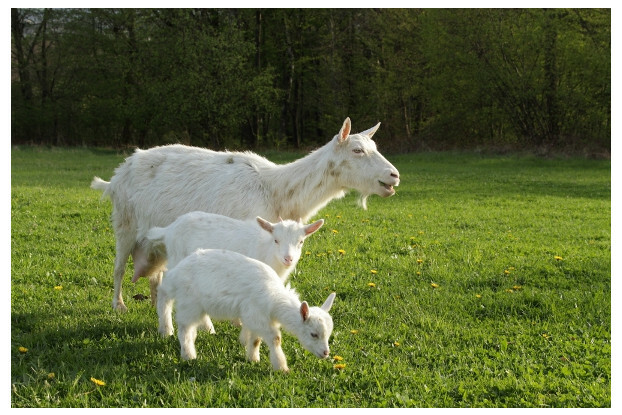 If you raise goats in northern Minnesota, Wisconsin, Michigan, New York, Vermont, New Hampshire or Maine, you know you need a pasture that can survive the cold, icy winters and the warm, humid summers. Our Great Lakes/New England goat blend has been specifically designed for this climate and contains a selection of grasses, legumes and forbs designed to supply your goats with nutritious, palatable forage. Goats often prefer to graze on shrub-like, broadleaf forbs rather than grass. They also favor a wide variety of plant species. We’ve kept this in mind as we designed this blend to provide your goats with all their energy needs, whether you’re raising them for meat, milk or as a hobby.